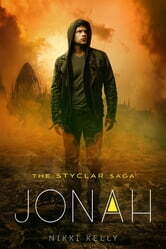 Jonah is the Vampire who saved Lailah from the appetites of an even darker evil: the Vampire Purebloods. Where Heaven meets Hell, Lailah must make a final stand, and an impossible choice—Gabriel, or Jonah? An emotional roller coaster full of twists and turns, once again readers should expect the unexpected with the stunning conclusion to the Styclar Saga.